I am so proud to be one of the 140,000 speech language pathologists in the United States. We change lives-that’s our superpower! 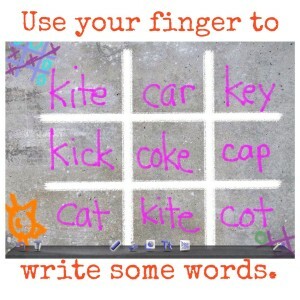 You hold the key to helping each child you work with develop his communication skills to his full potential. 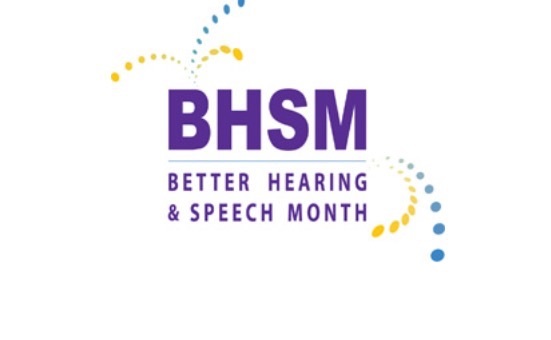 May is Better Hearing and Speech Month. 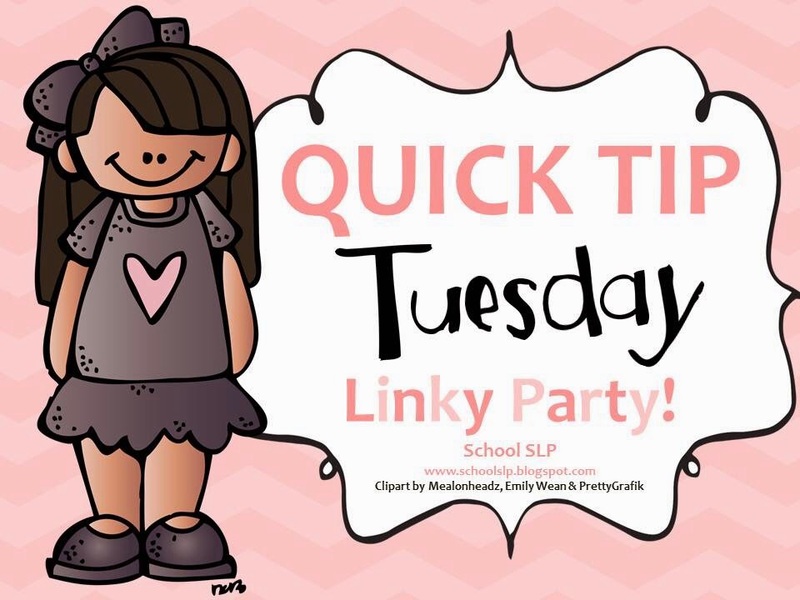 Sponsored by the American Speech Language Hearing Association (ASHA), this is the time of year for SLPs to promote awareness of communication disorders and let our co-workers/colleagues know what we do. But really, how many people know what we do? I work in a school setting and have been talking to the teachers to let them know how we can work together as a tean to help students learn and grow. I explain it during IEP meetings and eligibility meetings, never assuming that they already know what I do. This year I created a poster/handout to add another layer to the process. 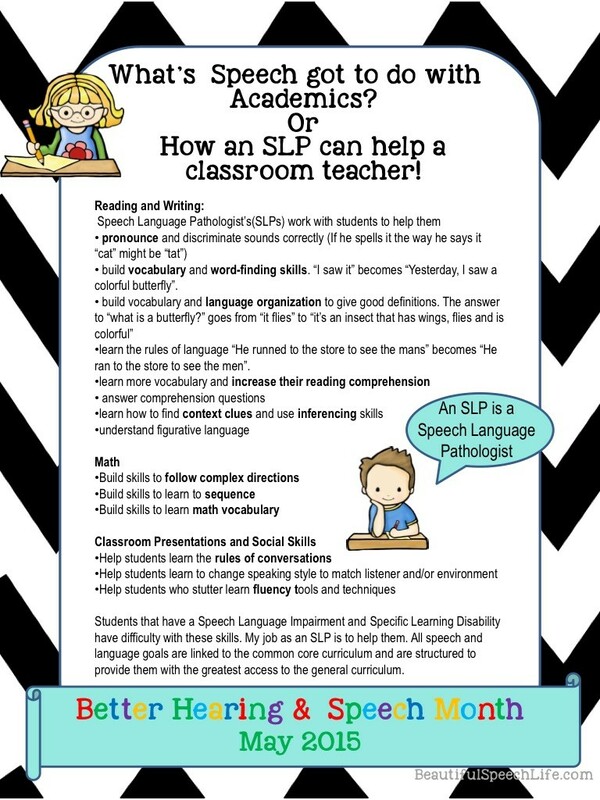 “What’s Speech Got to Do with Academics or How Can an SLP Help a Classroom Teacher”is a great tool to promote understanding of the role of SLP’s in the school setting. 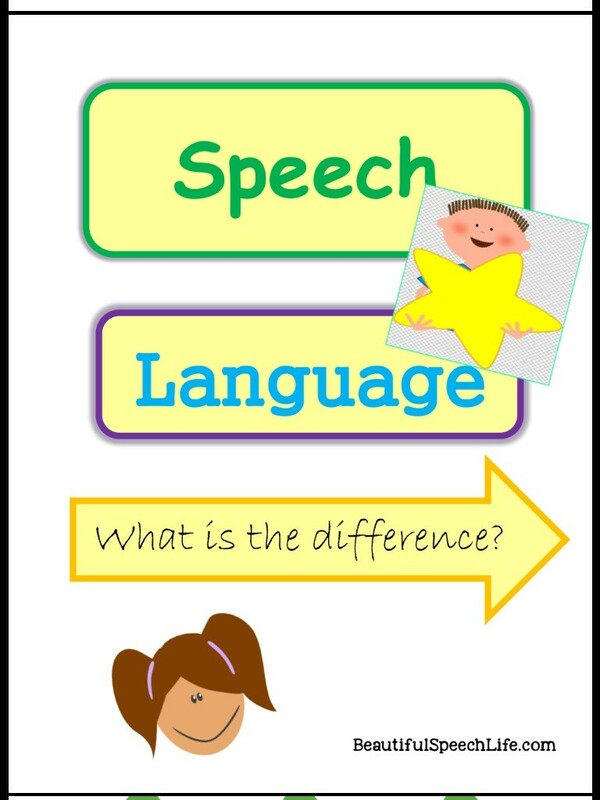 Bulleted points link specific speech language skills to Reading and Writing, Math and Classroom Presentations and Social Skills. Click here to get your free copy. 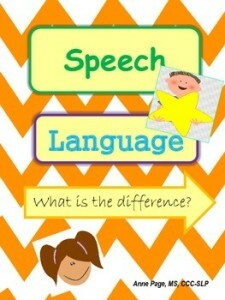 Another handy resource (and yes it’s free too) explains the difference between speech and language. Click on the picture for your copy. 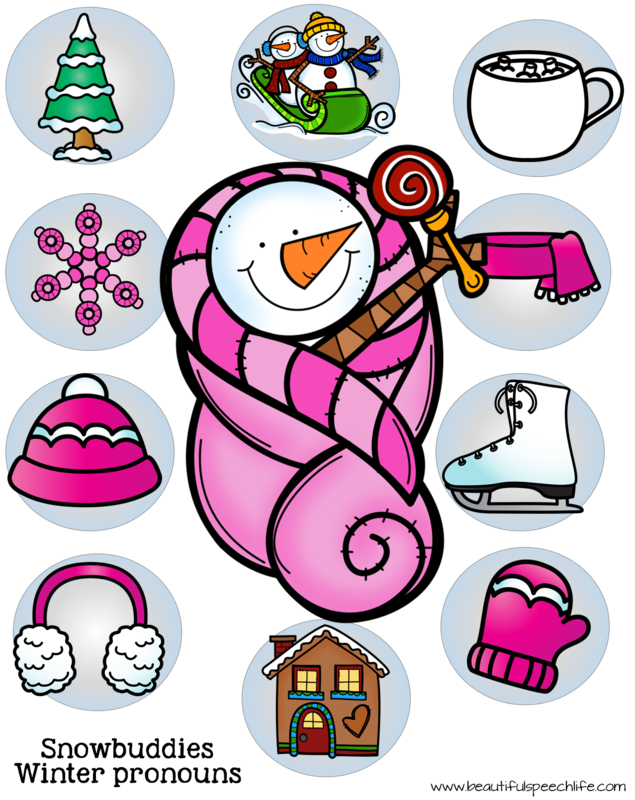 Finally, one more fun freebie to help promote understanding of what we do. “But What Does It Mean? 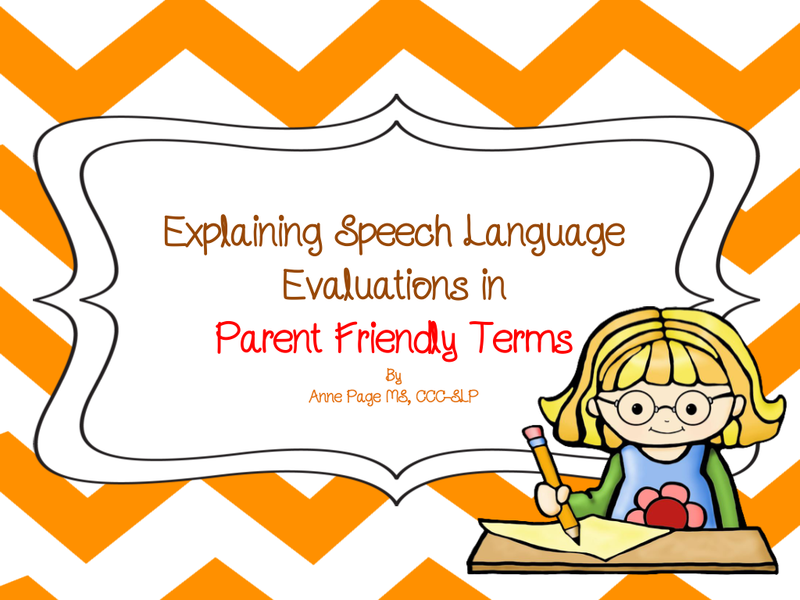 10 Tips Explaining Speech and Language Evaluations in Parent Friendly Language”. 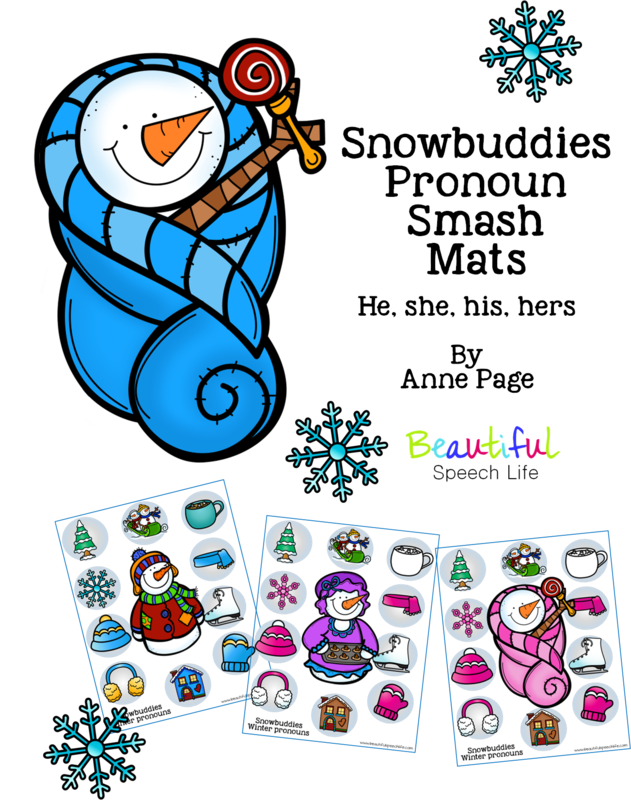 This is a free gift for signing up for the Beautiful Speech Life email list. The sign-up is here at the top of the page. Keep doing what you do my speechie friends, you are making the world a better place. 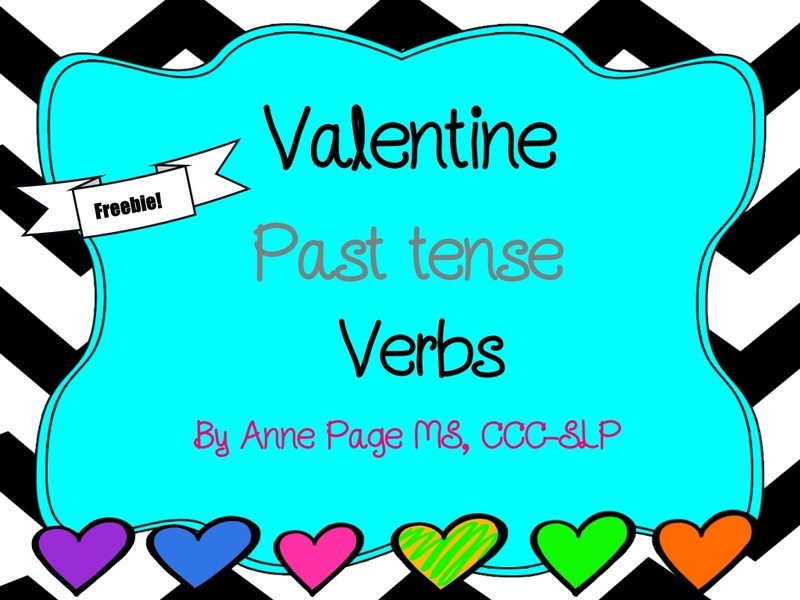 I created this product to help students practice verb tense. Click on the picture above to see the product on Teachers Pay Teachers. So many of the kids I see really struggle with this. 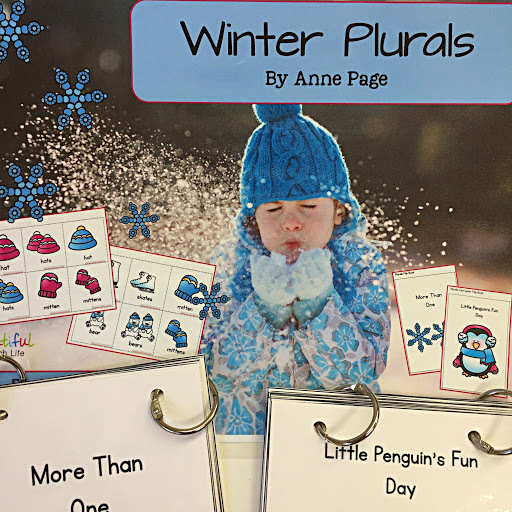 This activity is aligned with Common Core Standards for 3rd through 5th grade. 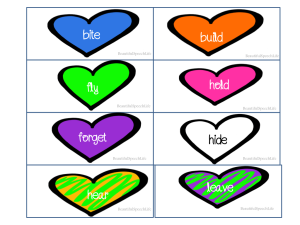 Cut out the heart cards, glue them on a backing and laminate. 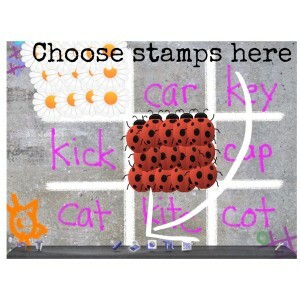 To use as a Memory/Matching Game: place cards face down, mix them around. 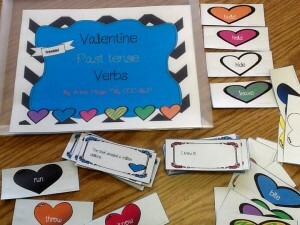 Players take turns flipping over two cards, saying the past tense version of each card. If they say it correctly and get a match they take the cards. If not turn the cards back over. Object of the game: be the player with the most pairs. 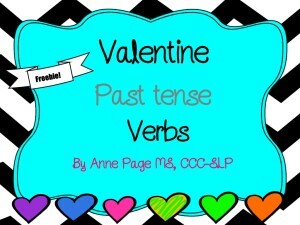 Alternate: When students are at a higher level they need to use the past tense version in a sentence. 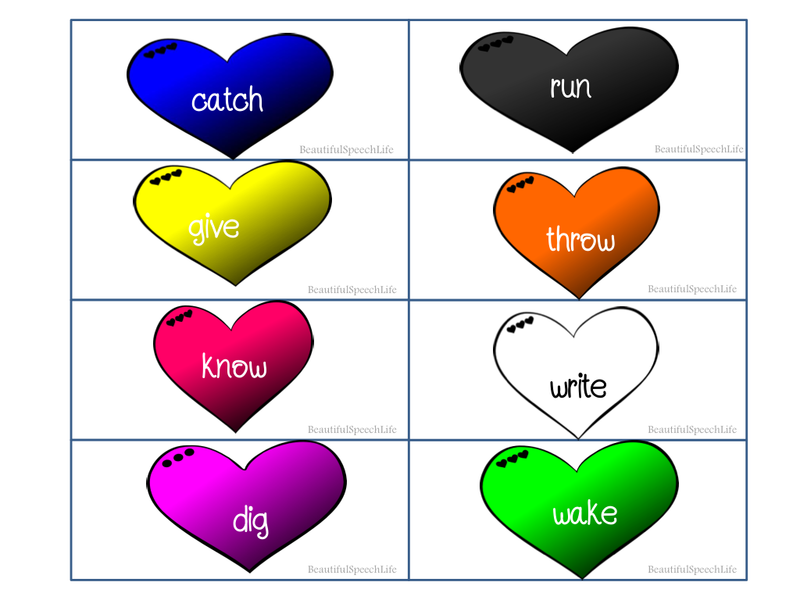 Black Heart Game: Shuffle heart cards and place face down in one pile. Player one chooses a card, reads the word and says the past tense version. Then it’s the next players turn. If a player chooses a black heart, he has to give back one heart but if he can say the past tense version of the verb on the black heart he can keep the black heart. When there are no more hearts the player with the most hearts wins. Cut out the sentence card, glue it on a backing and laminate. 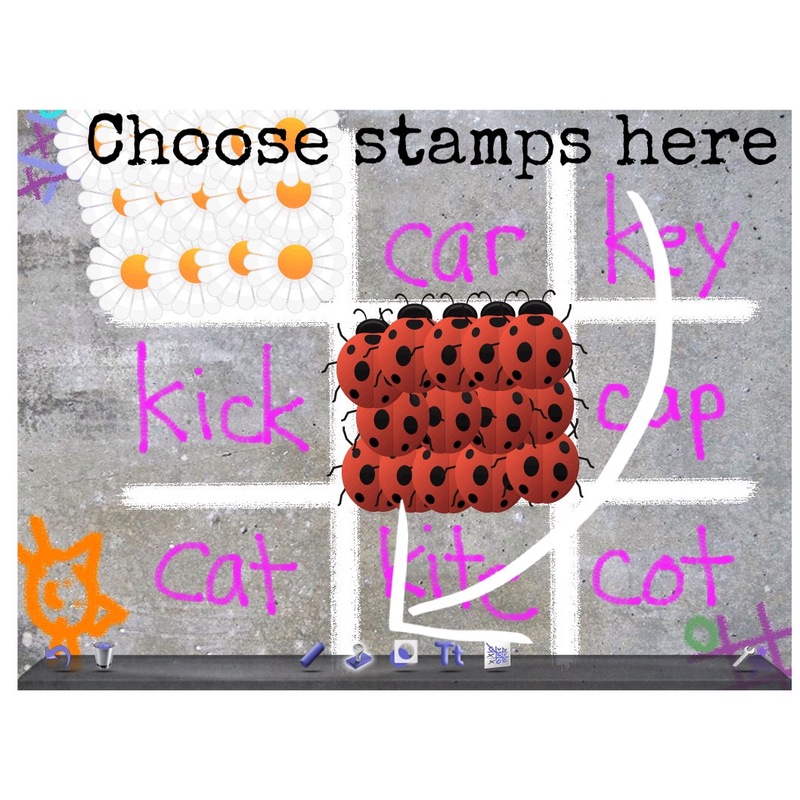 Place cards in a pile or spread them out face down. Player 1 chooses a card and hands it to SLP. SLP reads the sentence and student gives thumbs up for a good verb and thumbs down for a bad verb. Student keeps card if he was correct, puts it at the bottom of the pile or back on the table if he was incorrect. Student with the most cards wins. Alternate: Students read their own cards. 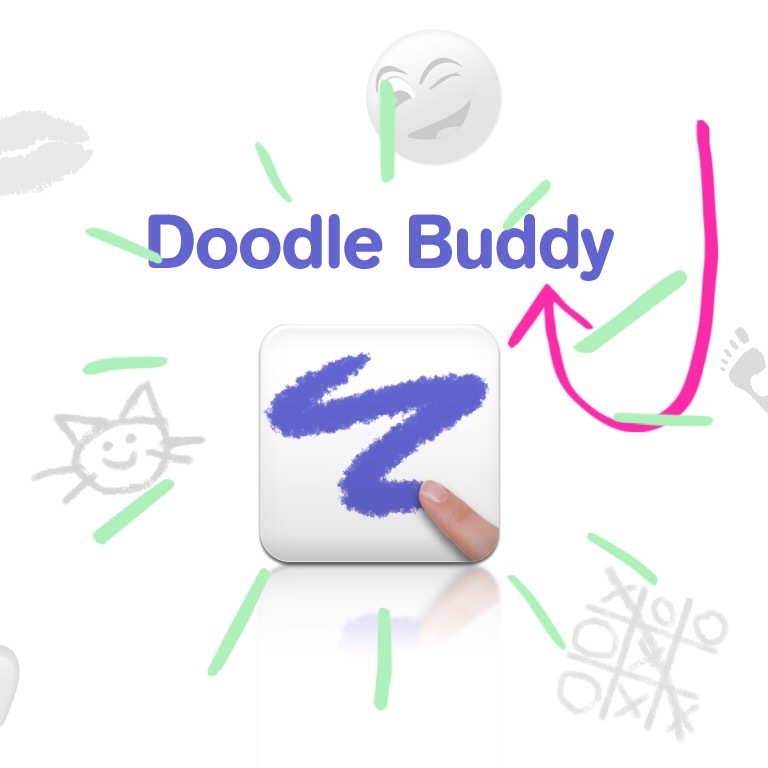 I hope you enjoy this FREE product and if you download it, please take a couple minutes to provide a rating. Also if you want more freebies and fun therapy ideas, sign up to follow Beautiful Speech Life on Bloglovin’ or sign up to receive email notifications of all new posts. This is one of my groups from this morning. 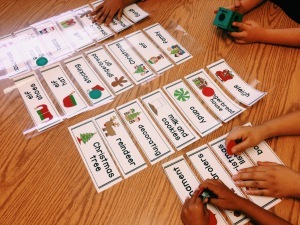 I got these Christmas word cards on Teachers Pay Teachers from Mrs. W for FREE! 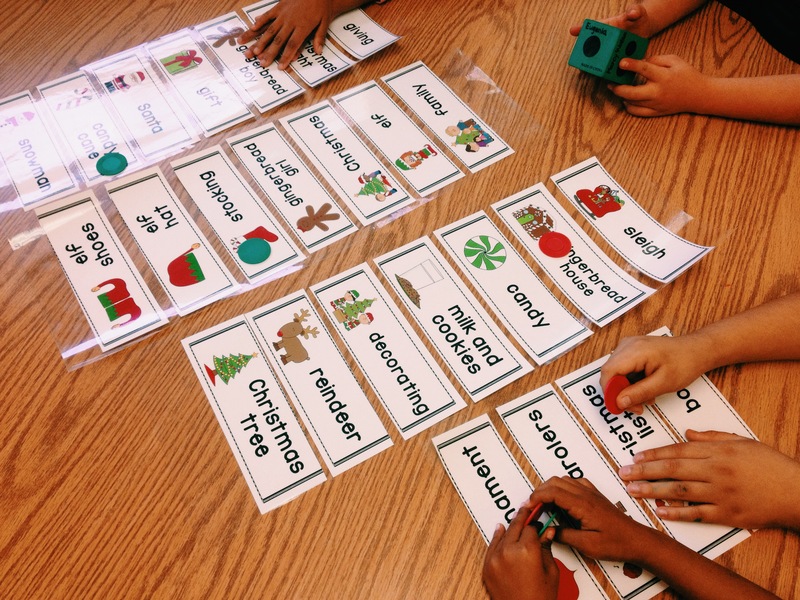 I laminated them in long strips and laid them out on the table . The kids took turns tossing red or green poker chips and naming the word that their chip landed on. 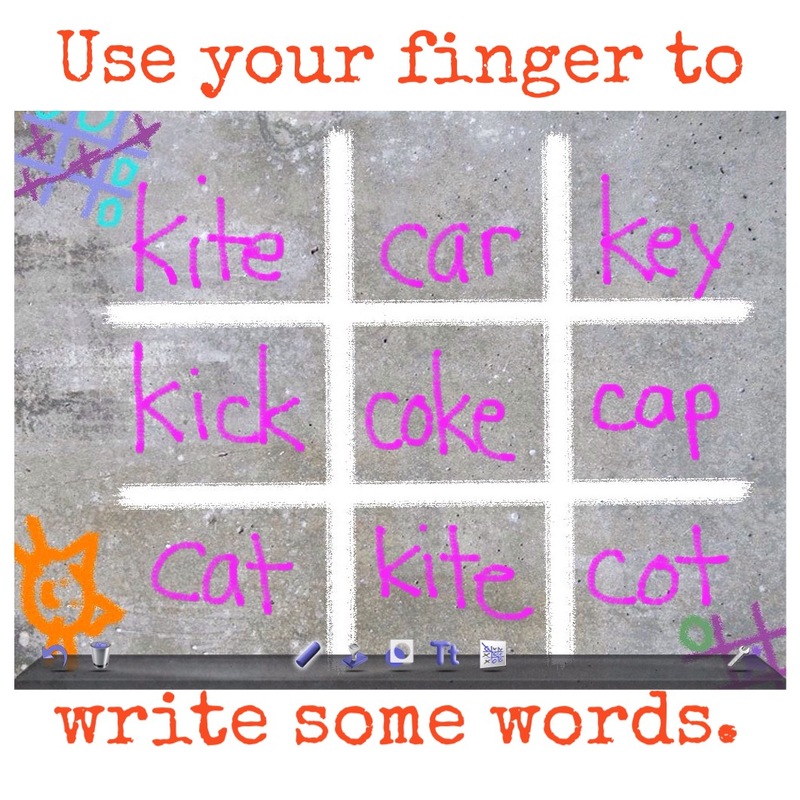 Later in the day I had one group make sentences with the words, another group gave definitions. They thought it was great fun! So you’ve completed your testing and written your report. Now it’s time to present the results to the student’s parents. This is delicate work; use empathy and try to put yourself in the parents’ place. Know your “audience”. This is not a time to dazzle them with your brilliance or to use all of the vocabulary that you learned in grad school. Remember, we have our own lexicon and so does the education world. This can be a little overwhelming. A few years ago, I was in a meeting where a well-meaning special education resource teacher was telling a parent that her son was behind in his ability to decode and comprehend grade level informational text. She talked for a while and then asked the parent if she had any questions. The parent said, “you lost me 10 minutes ago, I have a 6th grade education and I have no idea what you are talking about.” That’s something I won’t ever forget. Use pauses, take breaths. Try not to be nervous and rush through the information. Encourage questions. If parents have a glazed look or are just nodding in agreement with everything-not a good sign. 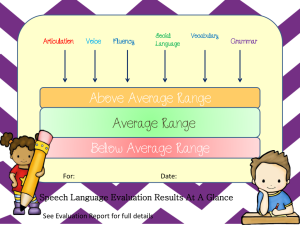 Use visuals (don’t assume understanding of the Bell Curve) I created a simple visual that you can use to give an overall picture of what the child’s communication strengths and areas for improvement are. The score range varies slightly by test but generally the average range is from 85-115. Mark scores right on the sheet or put in a plastic document cover and mark with dry-erase marker. This is not meant to replace the Bell Curve, it’s just an additional way to make results clear for parents. 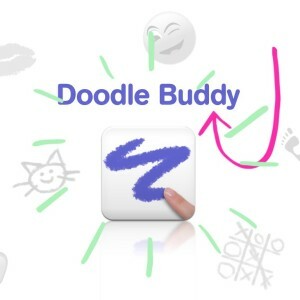 Click Here for your free download. Hopefully you had a chance to explain what areas you were testing at the pre-evaluation meeting. Now would be the time to briefly explain again the different areas of speech and language. 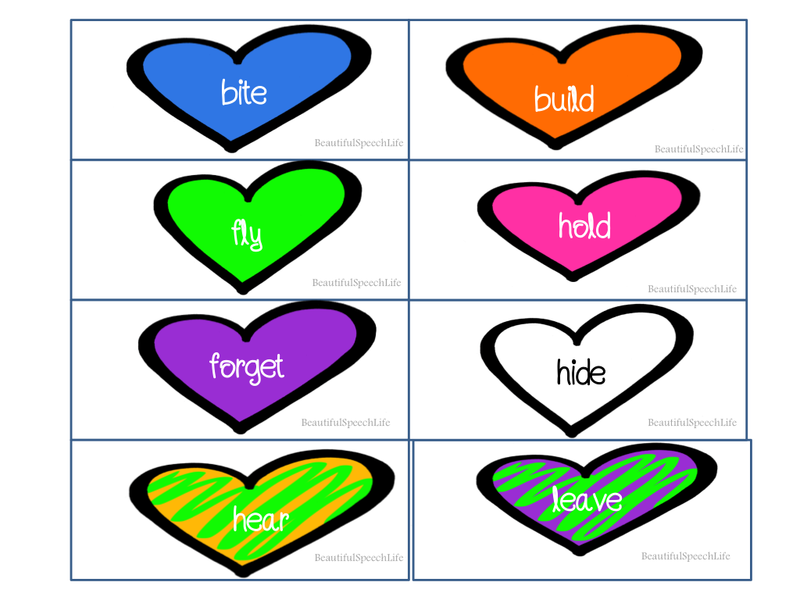 I use this chart available in my Teachers Pay Teachers Store. Parents are such an important part of the team approach, the more they understand; the stronger your team will be!